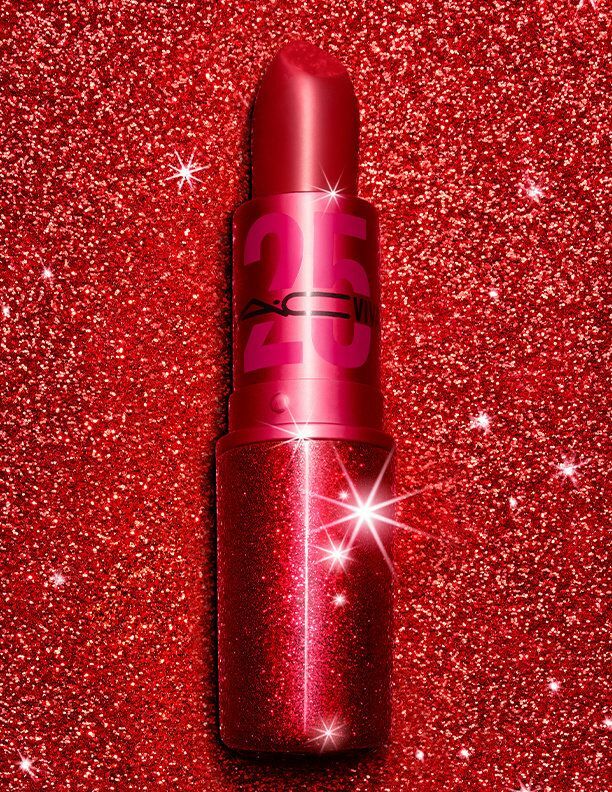 VIVA GLAM, the lipstick that became the face of M∙A∙C's dedication to making a difference for people living with HIV and AIDS, is turning 25 today. The iconic product has been part of the company's groundbreaking fundraising model, set up at the height of the HIV epidemic in 1994, and has since raised $500 million. Now it's back with new packaging and a campaign featuring model Winnie Harlow, who recreates the original campaign starring RuPaul. Reaffirming its commitment to the cause, M∙A∙C's fund will expand its efforts to include donations toward equal rights for women, girls, and LGBTQ communities. "I remember being invited to my first vogue ball. It was invigorating to see so many people from different walks of life come together and celebrate themselves freely. Ever since then, I have loved and always wanted to try to recreate a 'drag moment,'" Harlow told PAPER. "I knew that if I was ever going to attempt it I would need to embrace an iconic look! Who is more iconic than RuPaul in the M∙A∙C VIVA GLAM campaign?" Over the years, the cosmetics giant has teamed up with the likes Lady Gaga, Elton John, Miley Cyrus, Ricky Martin and Mary J Blige to create their own VIVA GLAM lipsticks. In its 25 year run, VIVA GLAM has provided 9,713 grants to over 1,800 innovative programs and organizations around the globe, including God's Love We Deliver, Lifelong AIDS Alliance, and Open Hand Atlanta, Inc.
With its renewed model, M.A.C. Cosmetics will honor 10 VIVA GLAM grantees that have been part of the cause from the beginning with $25,000 each. The brand will also expand its support to organizations such as Planned Parenthood, GLAAD, and Girls Inc, with three large grants totaling $1.3 million. "Since 1984, M·A·C and our amazing community of Artists have challenged norms, heralded diversity and pushed boundaries - the work that M·A·C has done is the global realization of that vision," said Nancy Mahon, Global Executive Director, M·A·C AIDS Fund and Senior Vice President, Global Corporate Citizenship and Sustainability, Estée Lauder Companies. "We now have testing and treatment needed to end AIDS — now we need to address head on the inequities and stigma that prevent women, girls, and LGBTQ communities from seeking and staying in treatment. In 2019, M∙A∙C will further that vision by evolving the mission to reflect the intersectional approach needed to end the epidemic." Every cent of the selling price of the VIVA GLAM II Lipstick, VIVA GLAM III Lipstick and the new, limited-edition 25th anniversary VIVA GLAM 25 Lipstick in the original VIVA GLAM I shade, will be donated to organizations supporting health and rights for all ages, all races, all sexes. Visit www.maccosmetics.com to learn more about the VIVA GLAM and get on the waiting list to purchase the limited-edition lipstick.